Unless you focus on a specific type of website design, so it makes sense to invest in a multipurpose WordPress theme. Multipurpose themes give you the flexibility you would need to be prepared to take on any assignment that comes your way. The multipurpose WordPress themes featured here have everything necessary to address any website type or topic. Some are e-Commerce oriented, but they have the flexibility you need to take on any task you may have to face. It would be nice to say that your choice will be an easy one, but when faced with a star-studded lineup of premium themes, where each one seems to be equal to or better than the next, reaching a decision isn’t going to be easy. What size are my typical websites? Do I need e-Commerce functionality? Do I want responsive websites? Do I need to make frequent changes? The Core is massive. It consists of 16 themes in 1 – with more on the way. It’s loaded with features, including the advanced Visual Builder, plenty of shortcodes, fonts, sliders, and headers, and more. Its demos, which can be auto-installed, have been hand-built to ensure the various themes and topics they address have been attended to. There many more useful features that we are unable to list here, but you are certain to appreciate the multiple types of portfolio showcases available, the custom Google Maps feature, the easy-to-add animations, and a built-in events calendar you can incorporate to keep users up to date. There’s even a backup module to protect you in case of a crash. 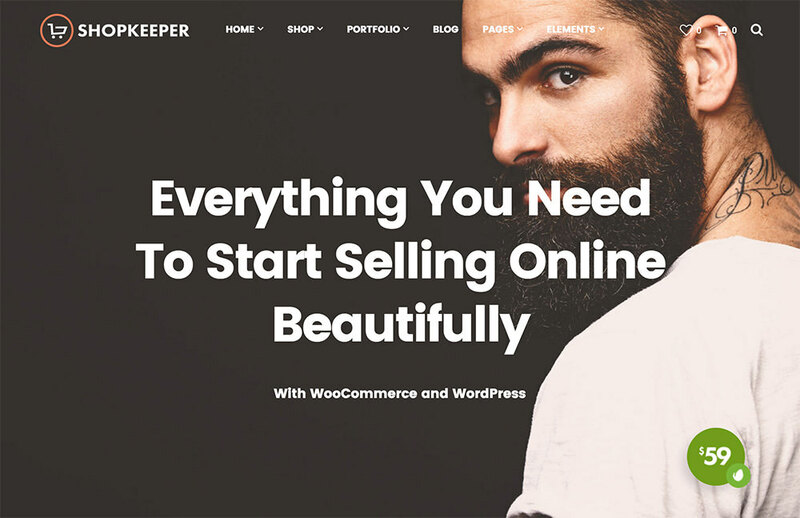 Bargain priced at $59, this multipurpose theme is definitely a sound investment. Feel free to give it a free test drive in the Test Lab. 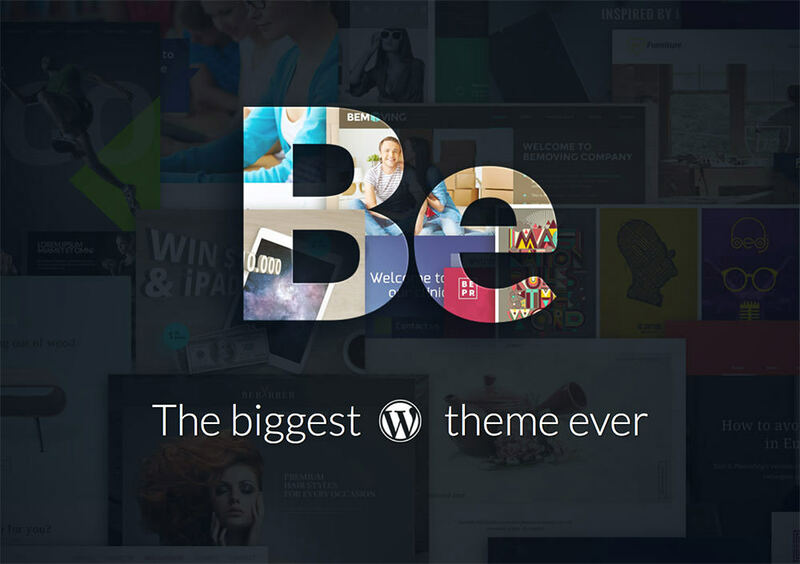 BeTheme is known for its 200+ pre-made layouts and their one-click installation. If you’ve looked into BeTheme previously, you may have noticed that the number of pre-made layouts keeps on increasing. Since these pre-made layouts are totally customizable, they address every conceivable website type, theme, or topic. Whether your next project is a portfolio site, a blog site, or a business or e-Commerce site, BeTheme is a great choice. You can use either or both of its two highly popular page builders, Muffin Builder 3 or Visual Composer. When you combine either with the Muffin Options Panel/Shortcode Generator duo, you’ll experience the utmost in website flexibility. As an added bonus, these and Be’s other core features are powerful, reliable, and extremely user-friendly. BeTheme is a multipurpose theme well worth looking into further. What does it take to create the most customizable theme on the market? The 7’s answer is its 630+ theme options. Combine these options with the ever-growing library of ready-made designs, and an enhanced version of the ever-popular Visual Composer, and you can rapidly come up with any design you can envision. As an added bonus, you can choose a header layout, upload your logo, specify backgrounds, colors and fonts, and let The7’s Design Wizard complete your page designs automatically. Using The7 is easy, it’s fun, and it’s the smart thing to do if you enjoy creating professional-grade sites without ever having to touch a line of code. 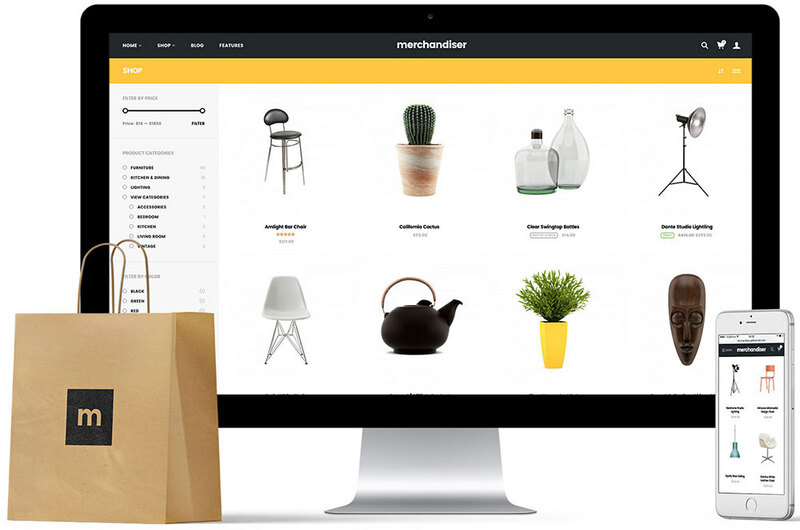 A WooCommerce plugin comes with the package, so you can set up an online shop in no time at all, and fine tune it by applying The7’s extended shop layout and appearance settings. Enfold’s library of demo files cover everything from business sites to portfolios and blogs, and everything in between. The beauty of this theme is it allows you to select design elements from as many demo files as you wish while building a page. More than a few users tend to work mainly with the Enfold Default Demo, which has become somewhat of a classic. It’s a multipurpose demo, but you can still use any of the design elements from any of the others. 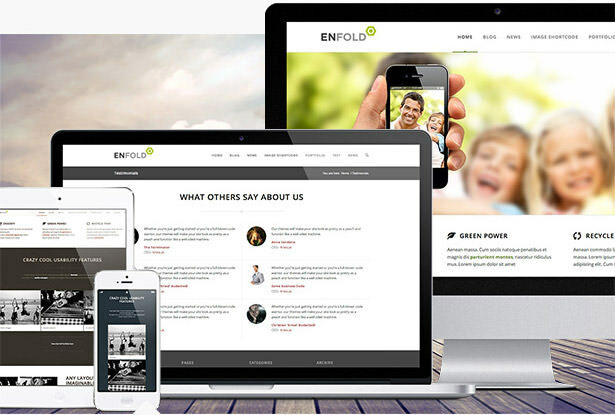 It’s also worth of mention that Enfold is extremely easy to use and is the highest rated top seller on Themeforest. Uncode’s layouts, or concepts as their authors call them, come in 5 categories: classic, creative, portfolio, blog, and shop. As an example we suggest you check out their Creative Agency concept. Several versions of five important pages (About, Contact, Services, Product, Utility) are also included to help you with your design efforts. With the aid of an enhanced Visual Compose, and with Uncode’s hierarchical options system, you can design whatever comes to mind, and make that design pixel perfect in the process. Smart, flexible, and with a box-full of features sums up Divi. 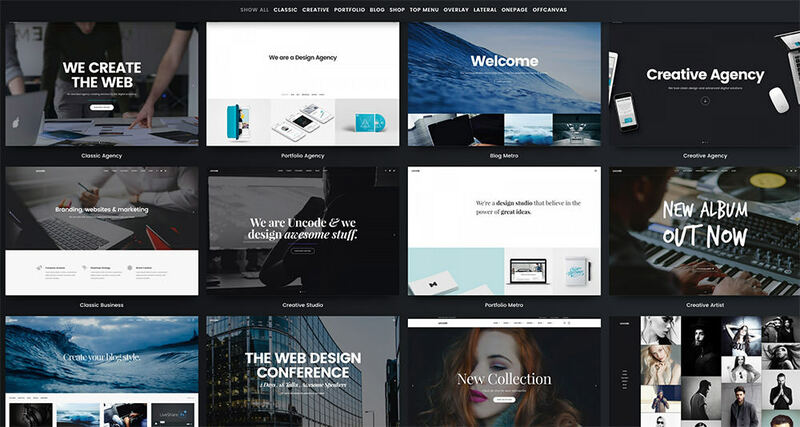 Anyone can create beautiful and unique website designs with this extremely user-friendly multipurpose WordPress theme using Divi Builder, Divi’s premium page builder. 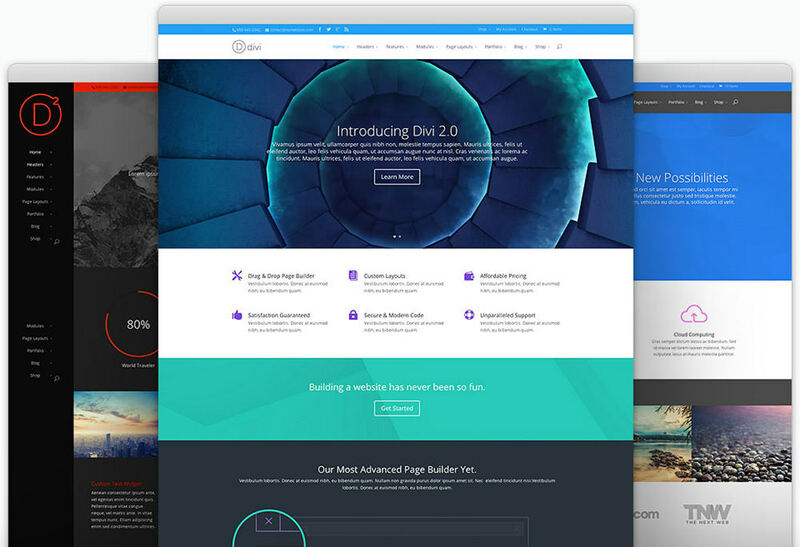 Divi Builder was designed and developed based on user feedback. Together with Divi’s 46 ultra-customizable content modules, the Builder transforms design elements into visual building blocks, making Divi the most flexible theme Elegant Themes authors have produced to date. Divi doesn’t require coding, but if you insist on using your coding skills, its Custom CSS tab won’t hold you back. Responsive, lightweight, no coding required, drag and drop page building – you name it, Kallyas has it all, as 17,000+ users will attest to. 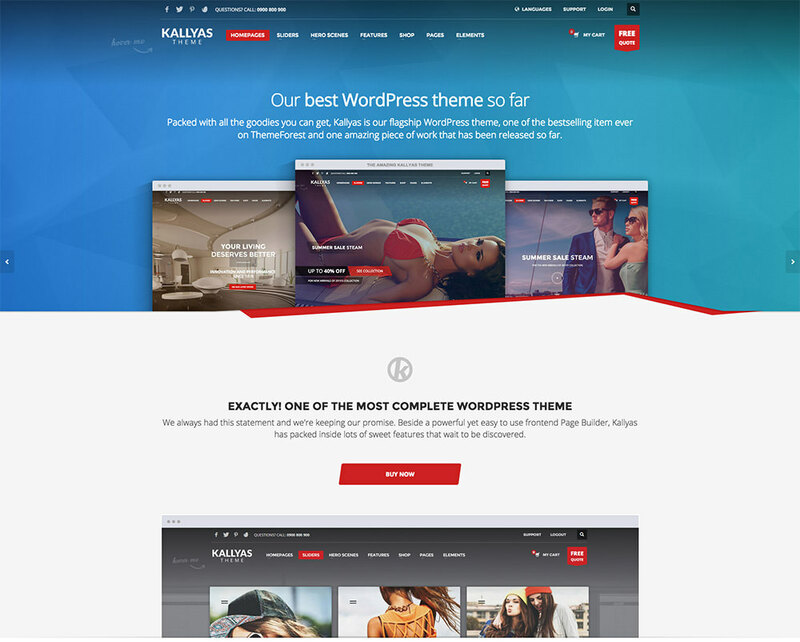 More than just another premium multipurpose WordPress theme, Kallyas is a complete website design toolbox. It’s not at all complicated to use. The Visual Builder page builder makes it super easy to build almost any page you can think of. 150+ video tutorials, together with a library of user articles and the dedicated support forum, will help you along. If you have a pre-purchase question or two, just click on Live Chat to get the answers. Shopkeeper is precisely what you need to not only build, but to manage your online store. Because of its inventory management system, you never have to leave your WordPress site, and Shopkeeper even allows you to feature upcoming products not yet in stock. Shopkeeper comes with a ton of pre-built layouts, design elements, and customizable options. 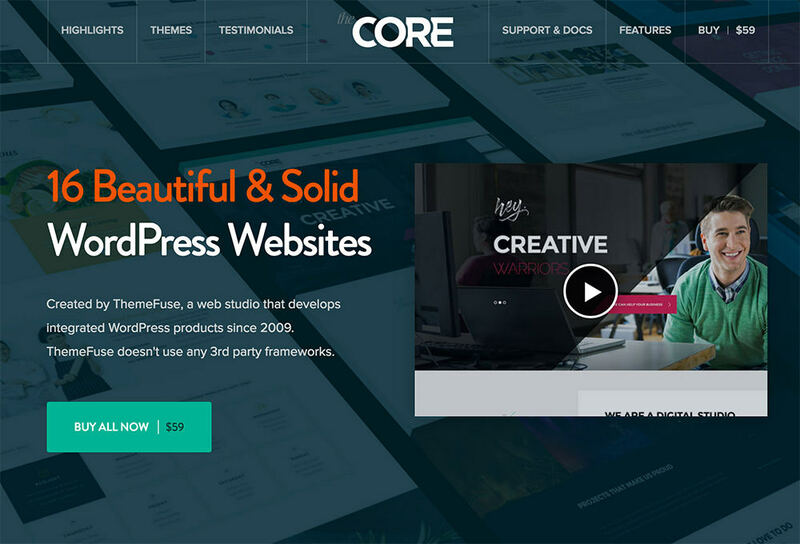 It is truly a multipurpose theme you can use to build business, creative, or corporate websites as well as e-Commerce sites, or to publish your blogs or your portfolio. Merchandiser has all of the features needed to successfully complete your design work, yet it doesn’t load you down with having to manage a variety of bells and whistles. It’s a minimalist theme in which the authors have done an excellent job of following a philosophy of prioritizing decisions over features. Instead of attempting to cover all the bases with a multitude of features, the authors based this theme’s functionality on shop owners’ actual needs and based their features on user feedback from surveys and from their other themes. As a result, by choosing Merchandiser you get simplicity, not complexity. 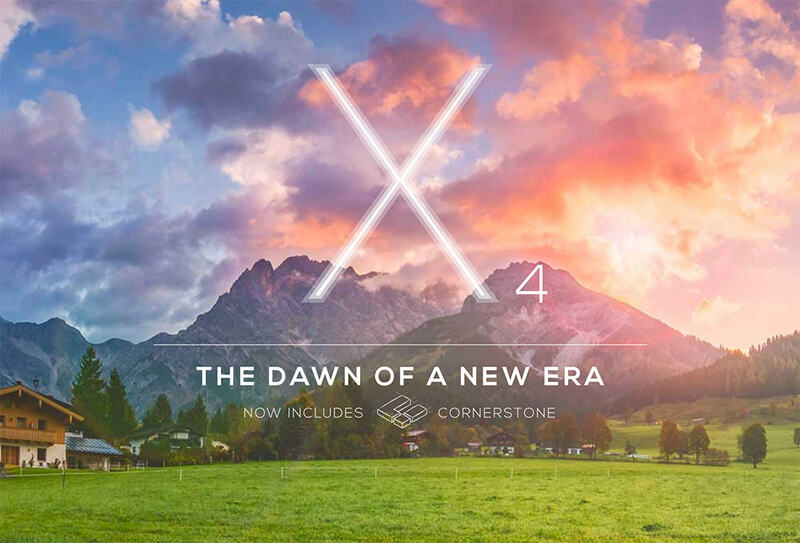 Stacks, Extensions, Cornerstone, and the Customizer summarize what X Theme has in store for you. Four stacks; Integrity, Renew, Icon and Ethos, allow you to choose from a multiplicity of unique designs with the click of a mouse. The 20 free extensions (plugins) can be instantly downloaded, and they are updated for each purchase. Cornerstone is X Themes 100% front-end page builder, and the Customizer allows you to manage your website building using a live previewer. There’s much more of course, but the bottom line is you’ll find X a total pleasure to work with. We believe you’ll agree that these multipurpose themes have something for everyone, and we trust you have found the one that is a perfect solution for your web design requirements. Flexibility, ease of use, and excellent support will never be issues no matter which of these themes you select. Even those that are oriented towards e-Commerce website designs, and the themes built that around a minimalist concept, are in every sense of the word true multipurpose themes because of their flexibility. Coding is never a requirement, although it can be an option, and pixel-perfect results are a given with any of these themes.